Itty canvases have gone over to the dark side! 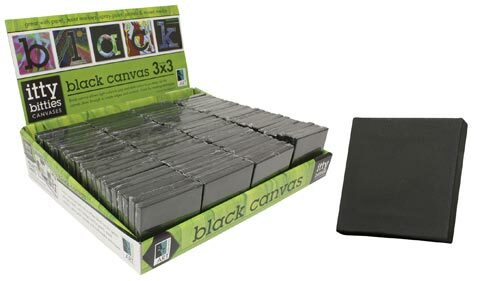 Made with the same acid-free acrylic primed cotton duck as our larger Black Studio and Gallery canvases, these are a great way to experiment with new techniques. The rich black background provides a striking contrast for use with traditional paints as well as paint markers, spray paint and multi-media techniques.